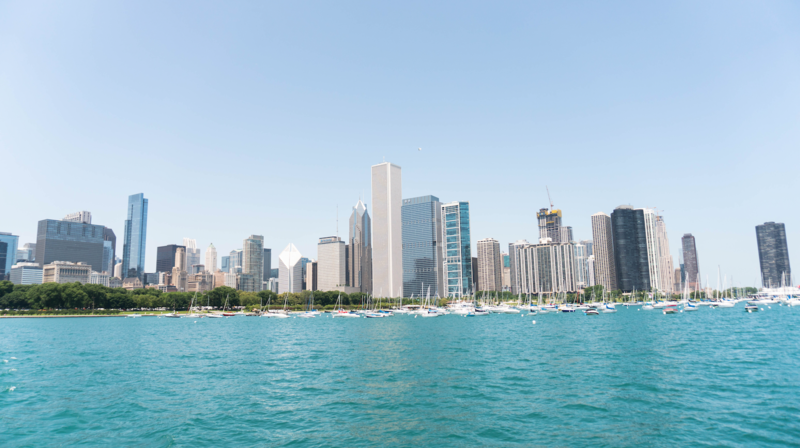 Boasting a stunning skyline and unique architecture, Chicago is home to some of the most revered buildings in America. The sheer amount of high-rises, skyscrapers and museums featured in this bustling metropolis is absolutely staggering. Out of the 1,315 completed high-rises within city limits, 44 exceed 600 feet in height. 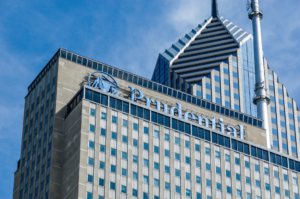 On top of showcasing the city’s diversity, this stunning collection of buildings gives Chicago the second largest skyline in the United States. This impressive architectural selection is far from surprising, since Chicago was the birthplace of skyscrapers. When the Home Insurance Building was completed in 1885, it immediately made history as the first skyscraper ever built. Despite only being ten stories tall and measuring 138 feet, at the time it was the tallest building in the world. Even after it was demolished in 1931, the impact that the Home Insurance Building had on modern architecture echoed throughout the world. Construction of skyscrapers became prolific in New York, and the two cities remained the only places in the world with skyscrapers for decades. Not to be outdone by New York, Chicago filled its skyline with a wide array of breathtaking buildings. 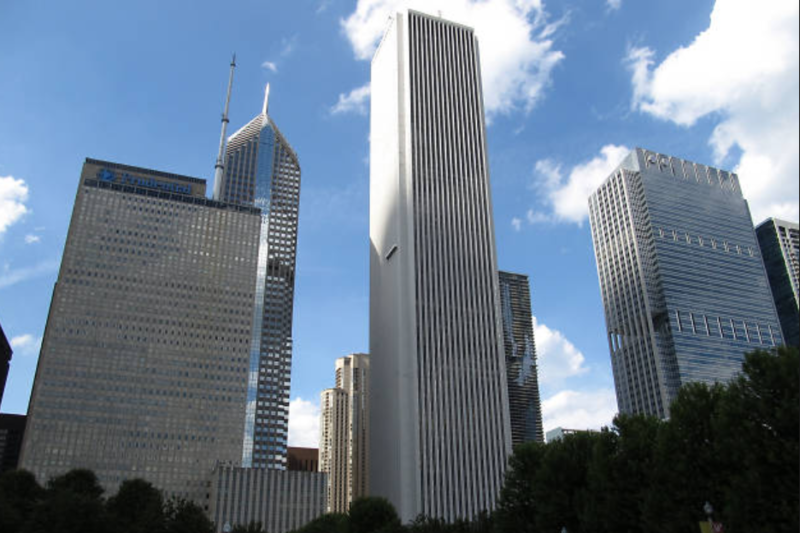 Three of these projects became the tallest buildings in the United states. Fueled by multiple construction booms, Chicago continued to pack its downtown districts with buildings that defined American architecture. Today, Chicago’s architectural feats attract tourists from all over the world. While many of these buildings are household names, there are literally too many for most people to keep track of. To help showcase Chicago’s gorgeous skyline, we compiled a list of the most iconic buildings in the city. These skyscrapers are in a league of their own, so prepare to dive into their fascinating backstories! AND HOST YOUR PRIVATE ARCHITECTURAL TOUR ABOARD ADELINE’S! This spectacular skyscraper was created by Sears to accommodate their growing number of employees. After purchasing 15 buildings from 100 different owners and paying the city of Chicago $2.7 million for a section of Quincy Street, construction commenced in 1969. When the 1,450-foot skyscraper was completed in 1973, it boasted 110 stories. These impressive dimensions beat the World Trade Center in New York and made it the tallest building in world. The Sears Tower maintained this title for 25 years, and remained the tallest building in the West until the World Trade Center was rebuilt. Despite losing two of its most coveted titles, there are still plenty of reasons to be impressed. The Sears tower is the second-tallest building in both the U.S. and Western Hemisphere. Currently it’s the 16thtallest building in the world, and over a million tourists visit its observation deck every year. In 2009, a clause in the Willis Group lease forced the skyscraper to be renamed. Today the Willis Tower stands tall as a bright reminder of Chicago’s profound impact on modern architecture. It’s a feat that still manages to inspire nearly 50 years after its construction. Sporting a unique tubular support system and multiple novelties, this 100-story skyscraper is one of Chicago’s biggest attractions. When its construction was completed in 1968, it was the second tallest building in the world. The skyscrapers’ stylish X-braced exterior has won various awards from the American Institute of Architects and major publications. Despite being the tragic place of the untimely death of comedian Chris Farley, this building is filled with upbeat tourist attractions. From the SkyWalk to America’s highest indoor swimming pool, every aspect of this skyscraper is a novelty. Inspired by a design competition, this neo-Gothic skyscraper arose from the ashes of its predecessor. 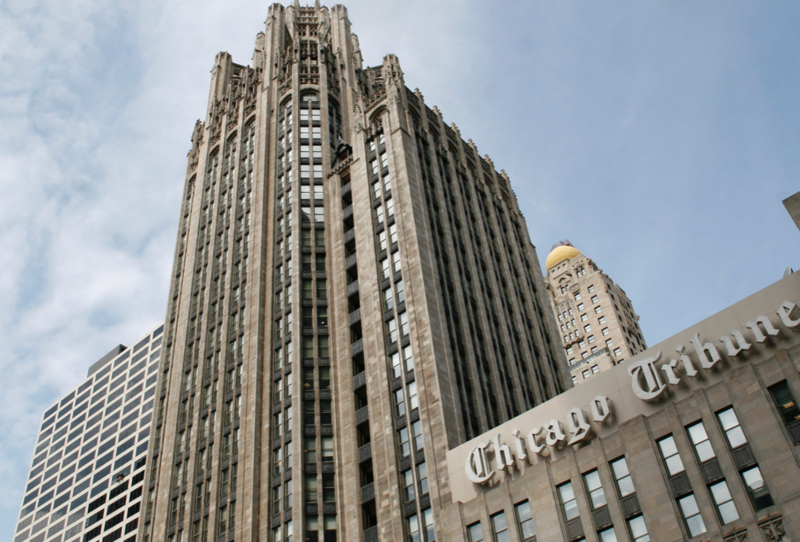 After the original Tribune Tower was destroyed in the Great Chicago Fire, the Chicago Tribune got creative. Searching for inspiration for their new headquarters, they hosted an international interior and exterior design competition in 1922. New York architects Raymond Hood and John Mead Howells stole the show with their unique neo-Gothic design. On top of winning $100,000, they were able to make a lasting impression on Chicago’s skyline. 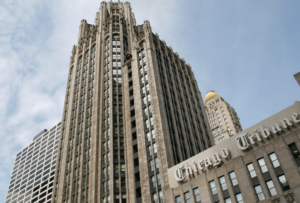 The Tribune Tower remains a Chicago Landmark, and showcases the city’s resilience to disaster. This 83-story skyscraper still manages to amaze visitors after multiple upsets and unforeseen incidents. When the 1,136-foot Standard Oil Building was completed in 1973, it was the tallest building in Chicago. 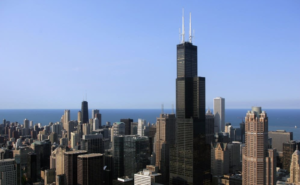 It quickly lost the title when the Sears Tower was completed the following year. To add insult to injury, one of its most novel features became a major issue. Being the world’s tallest marble-clad building ended up causing extensive renovations that exceeded half the cost of the original building. 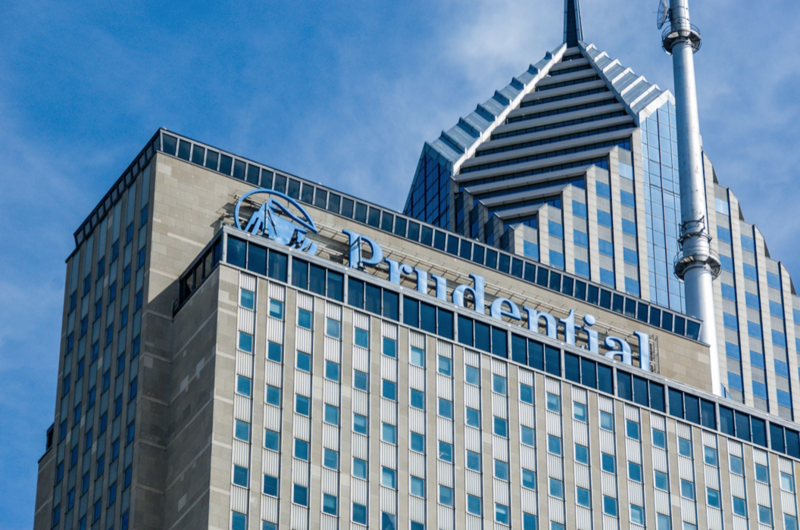 Despite these setbacks, the building remains one of the most iconic skyscrapers in Chicago. 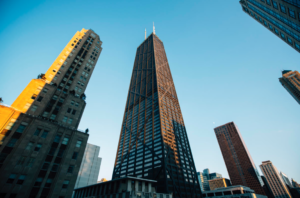 Even though it’s a relatively new addition, this 64-floor skyscraper has captivated Chicago. When the 995-foot tall project was completed in 1990, it was the tallest reinforced concrete building in the world. Thanks to its unique design and pyramidal peak, this building has won 8 awards. It’s currently the sixth-tallest building in Chicago, and the 17thtallest in America. Boasting high-end tenants such as the Chicago Tribune and Canadian consulate, this skyscraper is a modern masterpiece.